You Are Here: Home > What Are OEM Parts? Here at Toyota of Newnan, we know you’re dedicated to keeping your new or pre-owned Toyota in the best shape possible. That’s why our expert service center is here to offer you routine car care and expert maintenance to keep your vehicle running smoothly and safely. We provide options like oil changes, tire rotations, and battery checks, as well as air-conditioning and heater repair, engine diagnostics, and transmission services. And we do it all with OEM Toyota parts. OEM, or original equipment manufacturer, parts are built by the same company that produces the original parts for your vehicle. They are designed to integrate perfectly into the car, truck, minivan, or SUV and function the same as the piece it’s replacing, ensuring your vehicle runs as smoothly and safely as possible after repair. This is in contrast to aftermarket parts, which often need to be customized or cut to fit. While OEM parts can be a little more expensive than other options on the market, it’s well worth the money—and peace of mind. They last longer and are engineered with more precision, preventing costly replacement or repair down the line. OEM parts often come with warranty support. In fact, not using OEM parts can actually threaten your vehicle’s warranty in some cases. And of course, you’ll have the utmost peace of mind knowing that your Toyota Camry or Toyota Corolla has the correct parts integrated. While aftermarket parts can be made of anything—and produced in less than ideal environments—OEM parts are on the money every time. Here at our Toyota dealership, we host a fine selection of OEM parts. You can browse our inventory right here on our website to take a look at what pieces fit your specific vehicle. We offer a tool that lets you search via the model, year, and trim. And better yet, you can even purchase the parts you need in just a few clicks, whether you need a new cabin air filter or new tires. Let Toyota of Newnan help you find the right OEM parts for your vehicle and install them when you need. Our Toyota car service center is reliable, convenient, and here for your needs. We also offer specials and deals on service and parts, so you can get the work done at an affordable price. 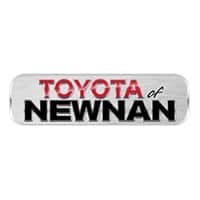 Toyota of Newnan is the car dealership in Newnan, GA you can rely on every time. Visit us at 2 Herring Road in Newnan to learn more.